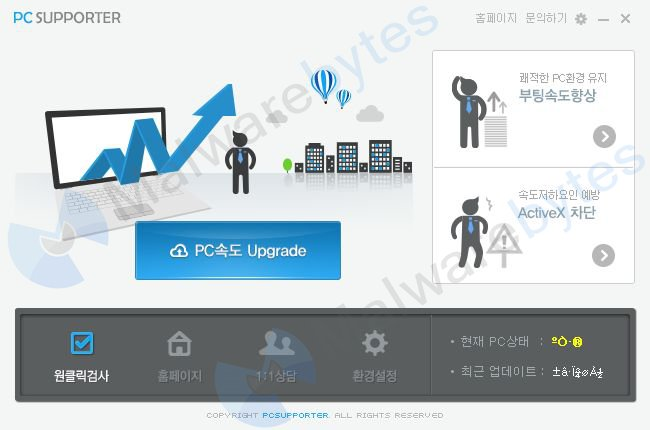 Malwarebytes Anti-Malware detects and removes a new application called PowerCure. How do I know if I am infected with PowerCure? How do I remove PowerCure? Malwarebytes Anti-Malware detects and removes a new application called Urausy. How do I know if I am infected with Urausy? How do I remove Urausy? Malwarebytes Anti-Malware detects and removes a new application called VProtect. How do I know if I am infected with VProtect? How do I remove VProtect? Malwarebytes Anti-Malware detects and removes a new application called VaccineTop. How do I know if I am infected with VaccineTop? How do I remove VaccineTop? Malwarebytes Anti-Malware detects and removes a new application called SpeedManager. How do I know if I am infected with SpeedManager? How do I remove SpeedManager? 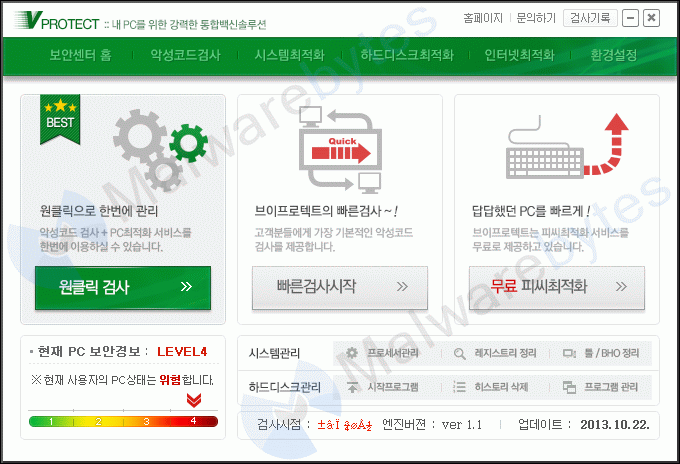 Malwarebytes Anti-Malware detects and removes a new application called PC Supporter. How do I know if I am infected with PC Supporter? How do I remove PC Supporter? Malwarebytes Anti-Malware detects and removes a new application called BoanSite. How do I know if I am infected with BoanSite? How do I remove BoanSite? Malwarebytes Anti-Malware detects and removes a new application called ProSpeed. How do I know if I am infected with ProSpeed? How do I remove ProSpeed? 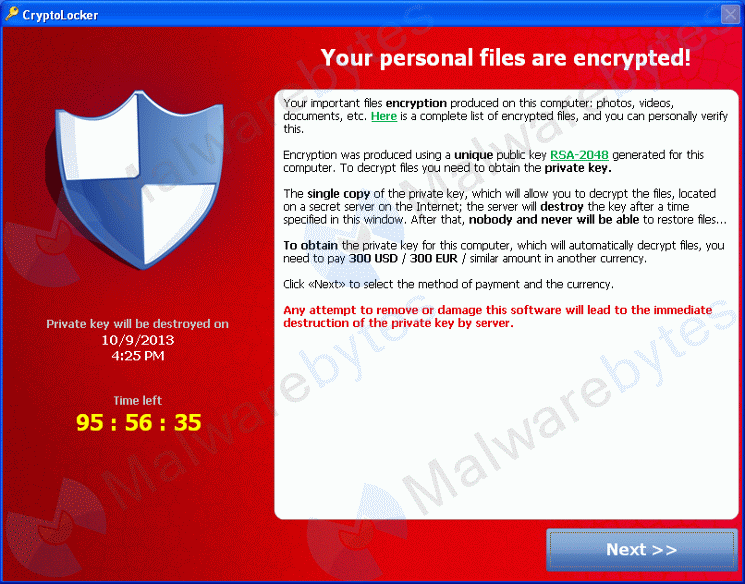 Malwarebytes Anti-Malware detects and removes a new application called CryptoLocker. 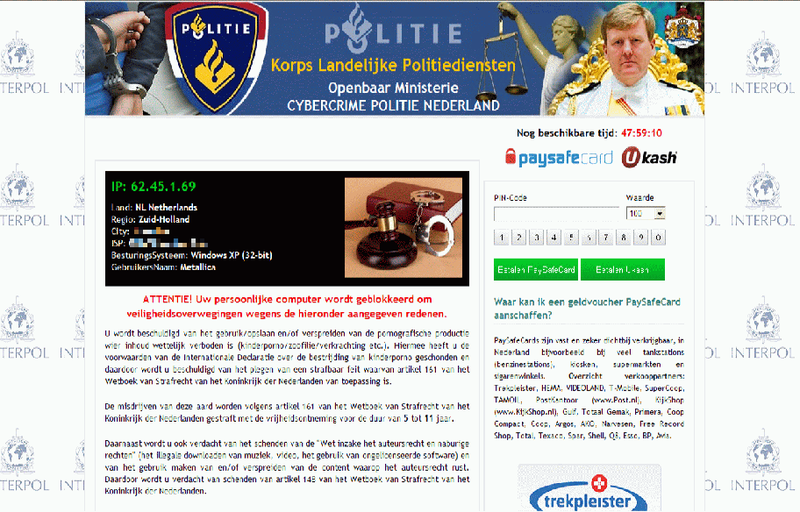 How do I know if I am infected with CryptoLocker? Malwarebytes Anti-Malware detects and removes a new application called ControlPC. How do I know if I am infected with ControlPC? How do I remove ControlPC?